It’s that time of year again when countries get together to discuss taking action on climate change. Progress is painfully slow at these United Nations Climate Change Conferences (known as COPs). We are up to number 23 — hence it is called COP23. COP23, held in Bonn, Germany from November 6-17, is not as significant as COP21 in 2015, when the Paris Agreement was negotiated. Much of this year’s conference is concerned with fleshing out details of the Paris Agreement, the so called rulebook, for adoption in 2018. Ian Angus is a Canadian ecosocialist activist and author. The editor of Climateandcapitalism.com, Angus is also the co-author of Too Many People? Population, Immigration, and the Environmental Crisis with former Green Left Weekly editor Simon Butler (Haymarket, 2011). The circus is over. The suits have left Paris after the November 30-December 12 UN climate talks (COP21). There have been millions of words written about the text. But one fact stands out. All the governments of the world have agreed to increase global greenhouse gas emissions every year between now and 2030. Why? Because all the countries have agreed to accept the promises of all the other countries. This statement was made six years ago, the Bolivarian Alliance for the Peoples of Our America (ALBA) at the Copenhagen Climate Conference. 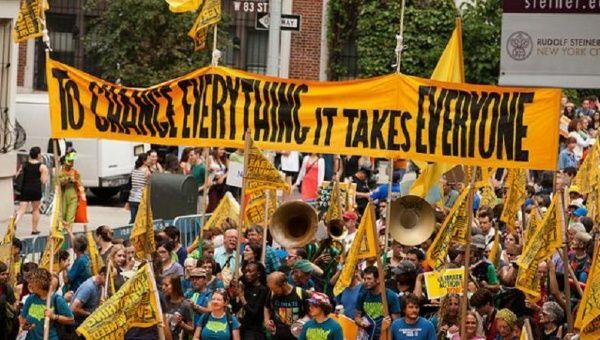 Even with protests banned in Paris ahead of the United Nation's COP21 climate talks, about 2300 climate protests sent a global message to leaders at the talks. 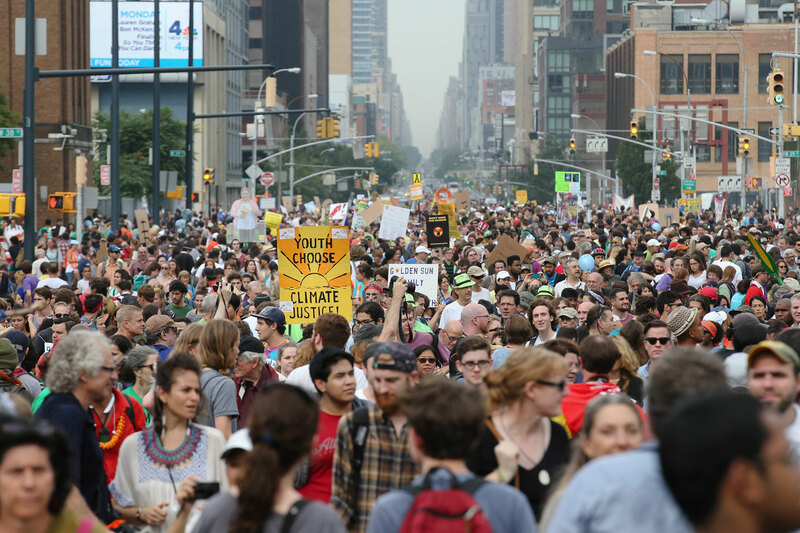 Hundreds of thousands of people joined climate change protests, marches and other events around the world on November 29 to send a message to leaders on the eve of COP21 that the world is waiting for climate change action. The 2300 climate actions included 175 countries. As the initial horror and outrage of the attacks in Paris on November 13 subside, the impacts they are already having on French and European society are becoming clearer. A state of emergency has been declared by the French government and will persist for up to three months. French officials announced on November 17 that France would see an extra 115,000 police officers, gendarmes and soldiers deployed across the country. In this context, rational debate is being restricted and progressive movements are on the defensive. The Bolivian government's national contribution to the COP 21 climate talks scheduled to start in Paris on November 30 contains a series of radical proposals for safeguarding the future health of the planet, Euractiv.com said on October 14. Bolivia's contribution insists that capitalism is responsible for “consumerism, warmongering and [...] the destruction of Mother Earth”. Hurricane Patricia — the most intense hurricane ever recorded in the Western Hemisphere — was downgraded to a tropical depression on October 24. It offered a reminder of the consequences of a warming planet.